The bulk Royal Flush poker chips are produced with a quality clay composite material with an insert that gives the chip a quality weight and feel. These chips have Laser labels inlays with denominations on both sides. The denomination does not have a "$" on them, giving you the flexibility of using them as dollar or cent chips. 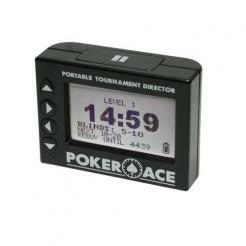 The chips come are available in 10 different colors/denominations. 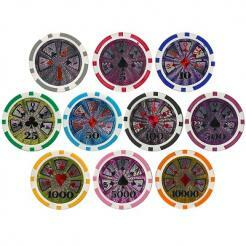 The Royal Flush bulk poker chips can be customized. You pick what colors/denominations you want to make up your bulk chip set. Just enter the quantity into the box next to the chip. Must be in quantities of 25 chips.